Cosenza marrakech is an agency in marrakech that helps you to better organize your holidays, and to make sure that the trip of your dreams turns into reality. specifically, cosenza marrakech organizes excursions that allow you to explore and discover morocco from another angle, and in an authentic way. the agency also offers the rental of luxury villas and luxury apartments, hotels and riads that are located near the city center of the red city. the suggested accommodations offer all the comfort, tranquility and security you need. you can also count on cosenza marrakech for the rental of a car so that you can circulate in the city of your choice freely. to this end, the agency offers a wide range of cars that meets all budgets. in addition, cosenza marrakech suggests to its clientele a variety of new and entertaining activities such as quad or camel rides, for example. cosenza is your partner who ensures you a dream holiday and offers quality that will impress you. You want to offer a parenthesis of well-being in Marrakech? To escape the stress and escape the routine of everyday life, there is nothing like choosing a Hammam - Spa Marrakech luxury. 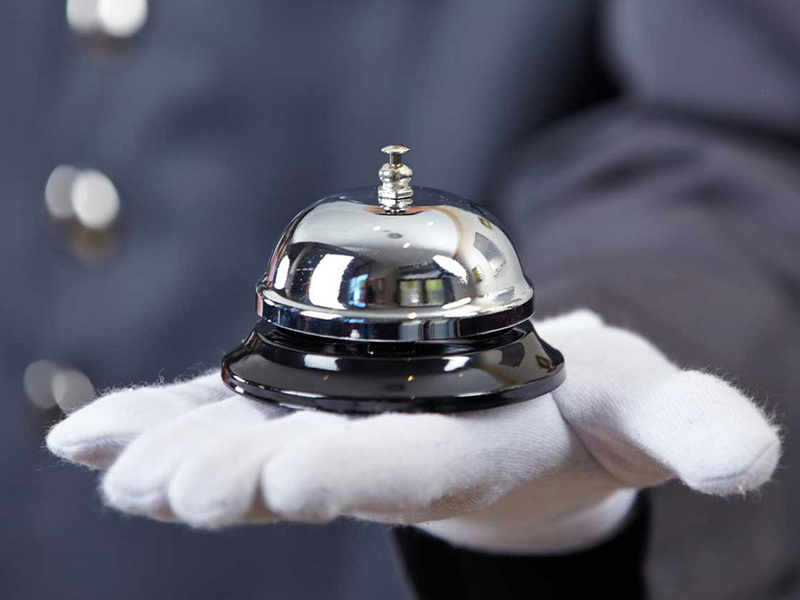 Cosenza, the luxury concierge in Marrakech offers you this tailor-made and personalized service. Specifically, Cosenza takes into account your criteria and your expectations so that you can dive into the world of luxury hammams & Spas in Marrakech that suits you, and thus relax your muscles. It is also possible to privatize a Hammam & Spa, and have a whole area of ​​well-being and relaxation just for you. Have you ever wanted to experience a helicopter flight, to have the thrilling sensation of flying? From now on, with Cosenza, the luxury concierge in Marrakech your desires are orders. Cosenza invites you to board a helicopter for a sensational flight to discover Marrakech from the sky, and fly over the most beautiful places. Are you ready to take full eyes? Because this experience will allow you to enjoy breathtaking panoramas, as well as a unique sensation of freedom. It is also an opportunity to change the environment, and take photos to immortalize this unforgettable moment. Cosenza does not only offer helicopter baptisms for a sightseeing tour. You can take advantage of this service to celebrate a particular event, a personal or professional trip. 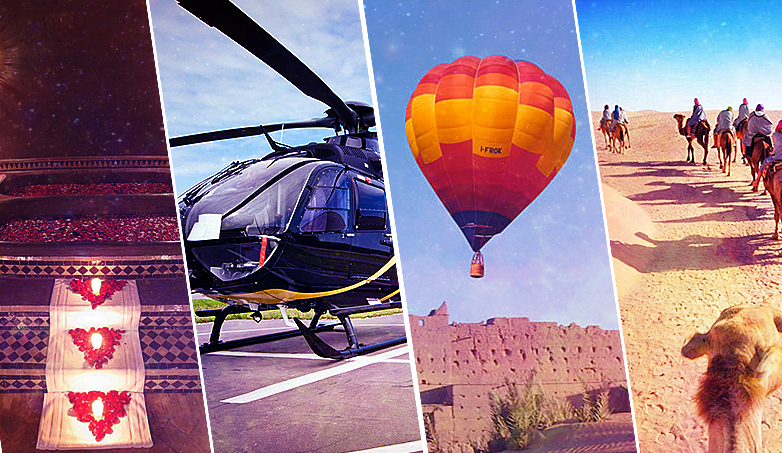 What do you think of a balloon flight in Marrakech? Cosenza invites you to experience a balloon flight, a few kilometers from the red city, to better discover Marrakech, and perceive the Atlas Mountains from a completely singular angle. A grandiose spectacle will be presented to you at sunrise, which will enchant you with the breathtaking views, the beauty of the landscapes and the nature. Hot air ballooning is also an opportunity to spend a quiet moment and enjoy a quiet approach, in a quiet environment, away from the hustle and bustle of Marrakech. To reassure you, vertigo does not exist at the edge of a balloon, and the aeronautical pilots who will accompany you during the flight are professional. So, what do you think ? Let yourself be carried away by the sense of wind and adventure to live a unique experience with Cosenza. 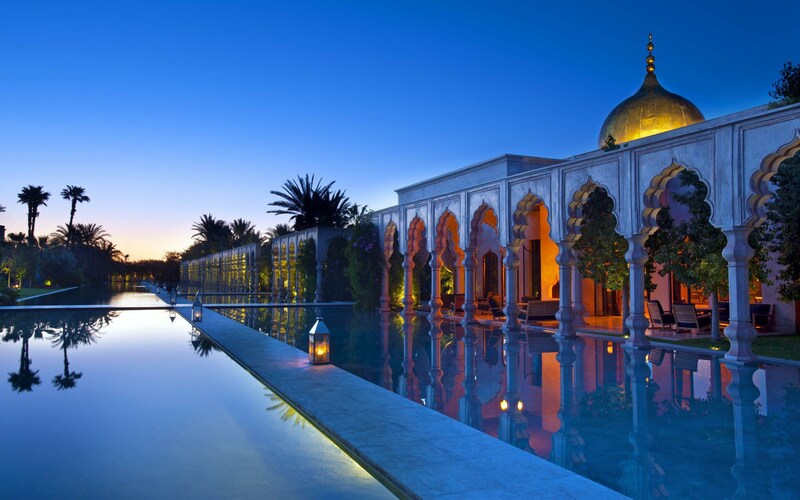 Cosenza is a luxury concierge in Marrakech that organizes private tours in Morocco. Cosenza allows you to enjoy tailor-made excursions, and then at your own pace, while meeting your desires, whether it's a trip to the desert, mountains or the ocean. Therefore, the programs are customizable and designed according to your expectations. The objective of these excursions is to make you discover Morocco, its tourist sites, its mysteries, as well as its most beautiful landscapes. In love, with friends, in a group or solo, the luxury conciergerie puts all its know-how to work so that you spend pleasant moments in the best conditions. Among the destinations proposed by Cosenza, we find: Essaouira, Ouarzazate, Ourika, Ouzoud, the 3 Valleys of the Atlas, Fez, Zagora, Merzouga and the Medina of Marrakech. In addition, Cosenza adapts to your budget, and suggests excursions that combine adventure, culture, history, leisure and others.